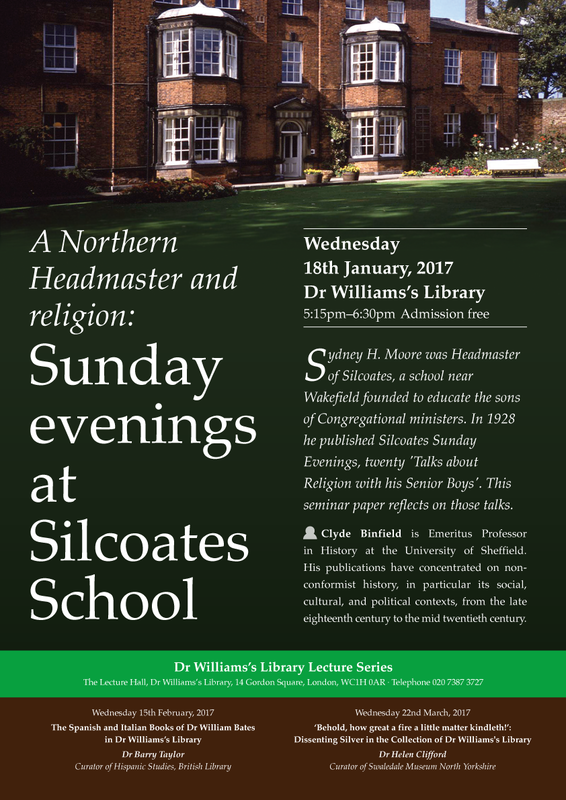 These are some of our recent events. 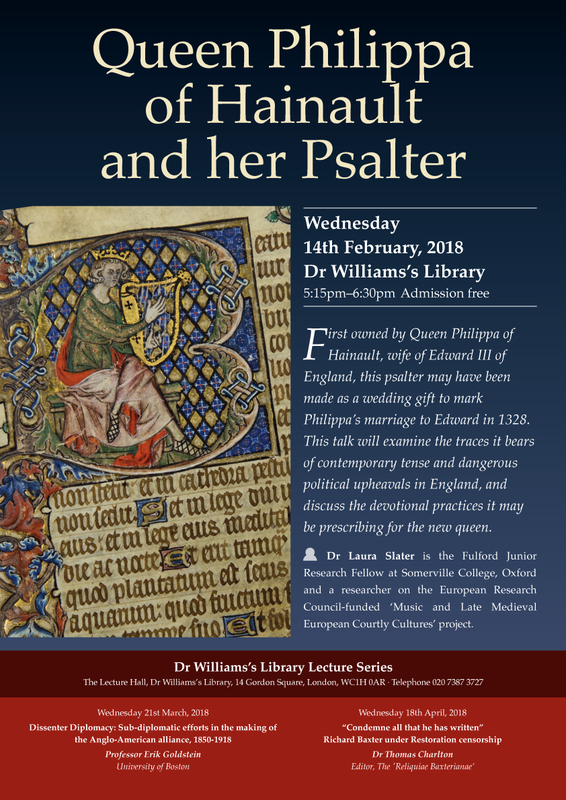 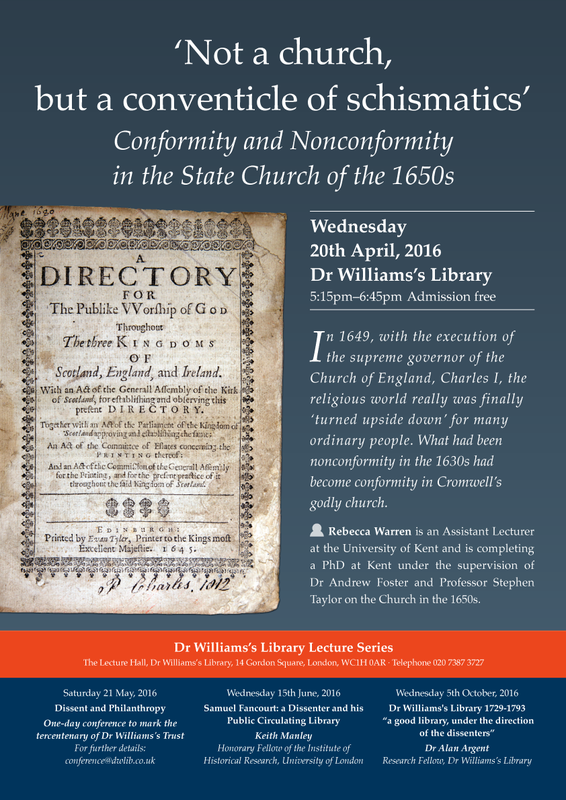 Lecture: 'A Treasury or Library of Parliament Sermons': 1640s fast sermons and the history of the book'. 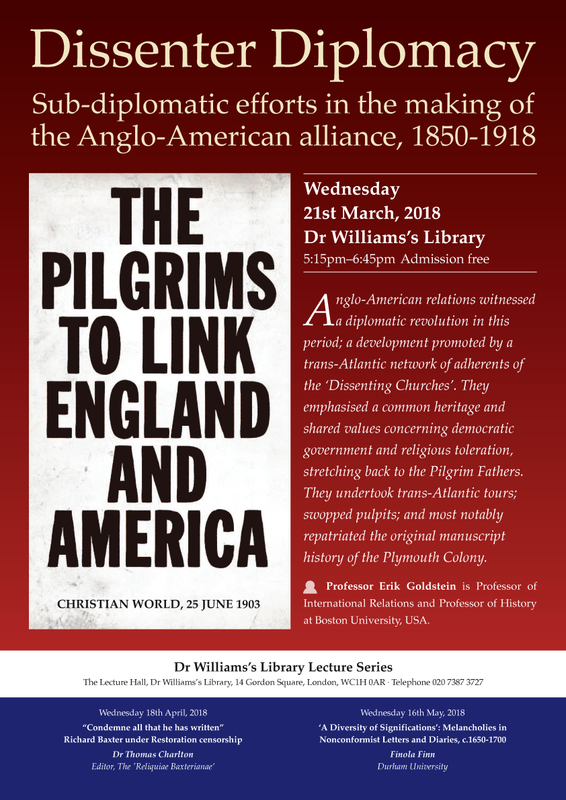 Seminar: ‘Dissenter Diplomacy: Sub-diplomatic efforts in the making of the Anglo-American alliance, 1850-1918'. 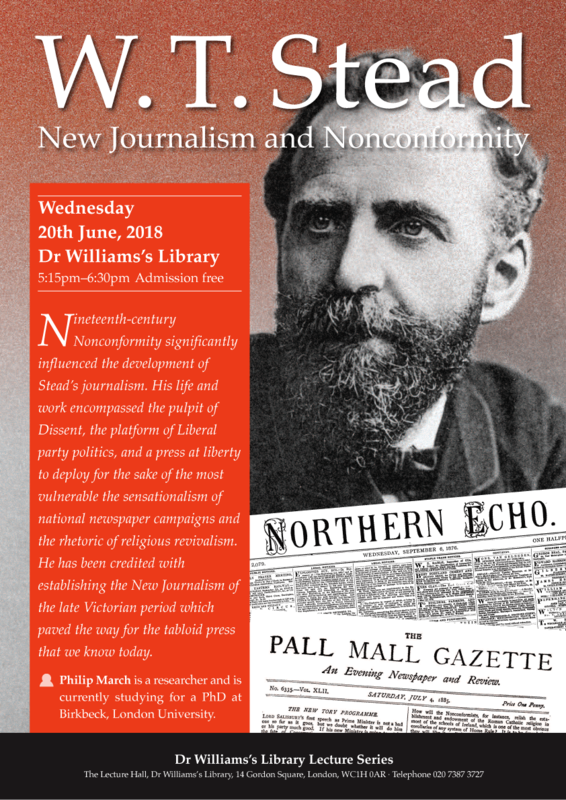 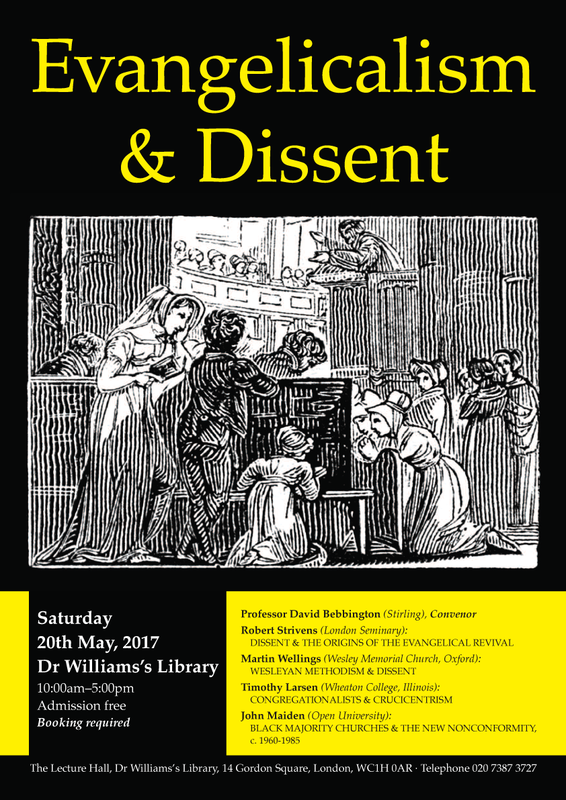 Seminar: “A struggle on behalf of freedom”: William Gaskell, the Unitarian Herald and the Victorian Politics of Print. 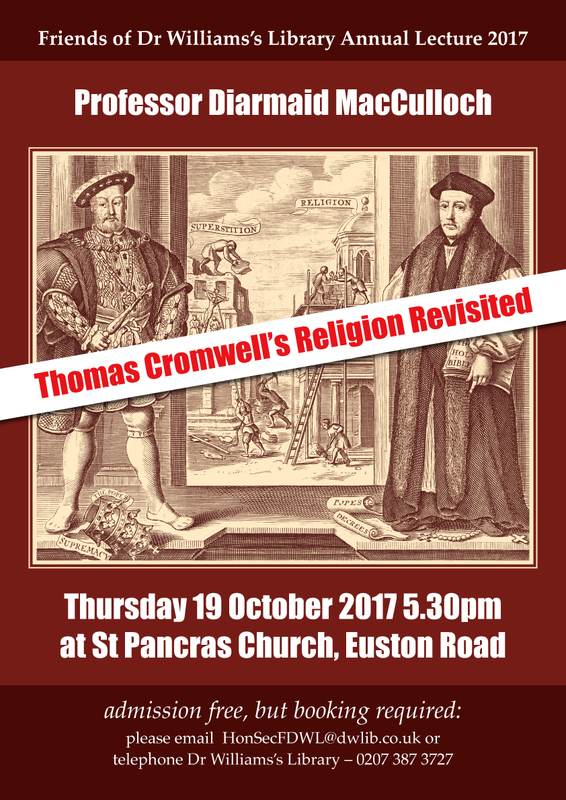 Lecture: 'Thomas Cromwell's Religion Revisited'. 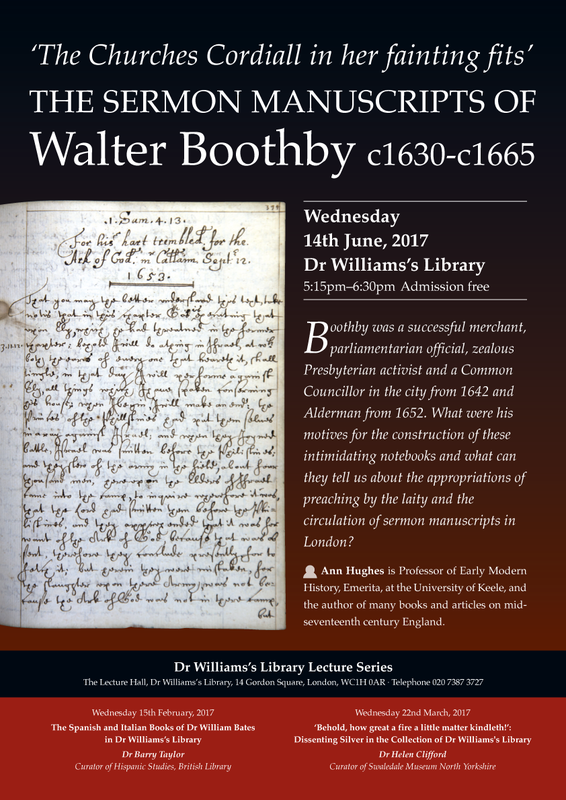 Lecture: 'The Churches Cordiall in her fainting fits': the sermon manuscripts of Walter Boothby c1630-c1665. 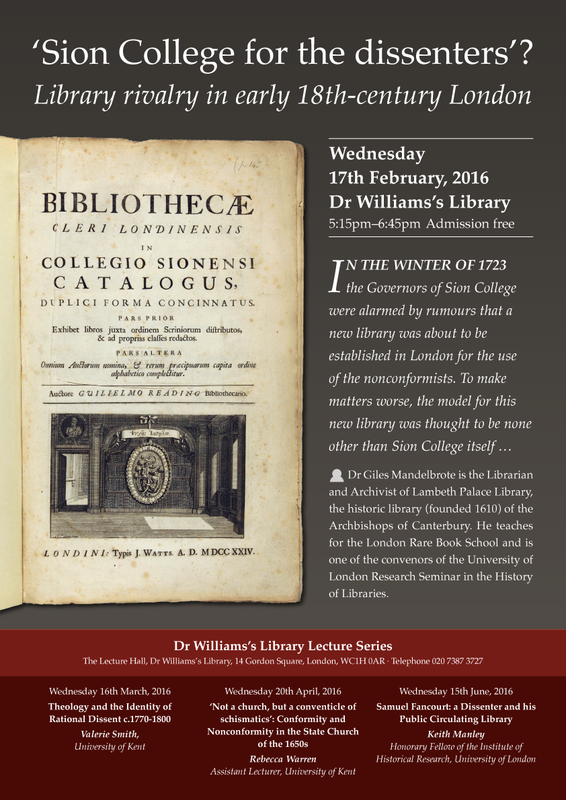 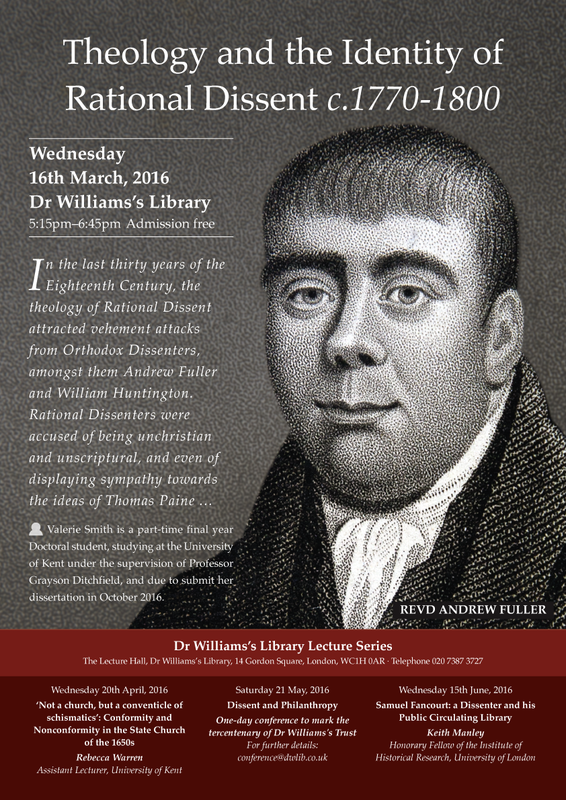 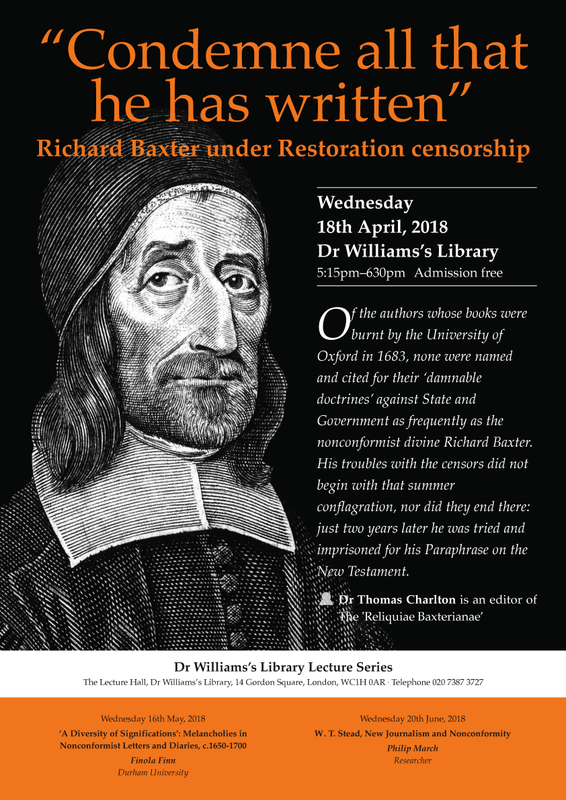 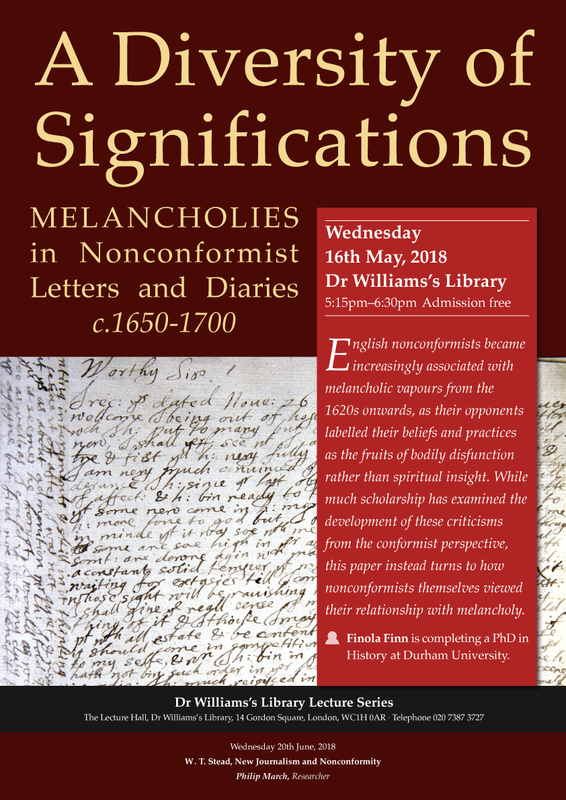 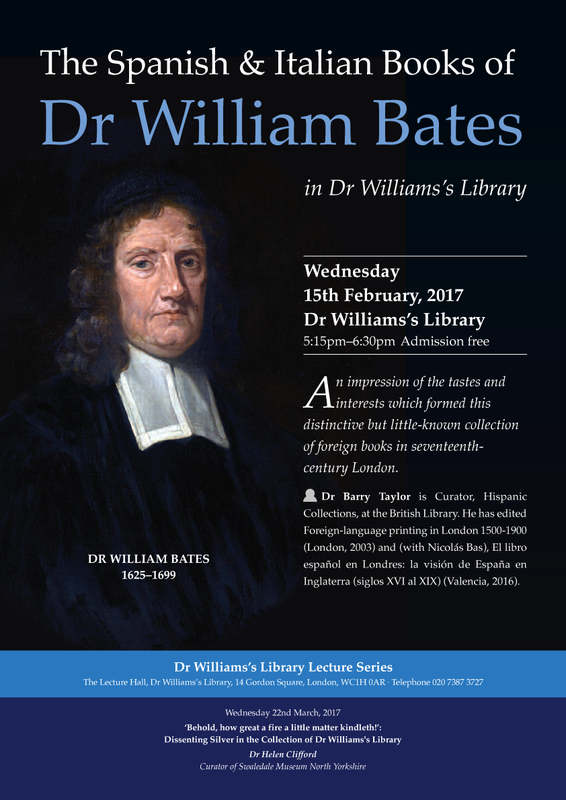 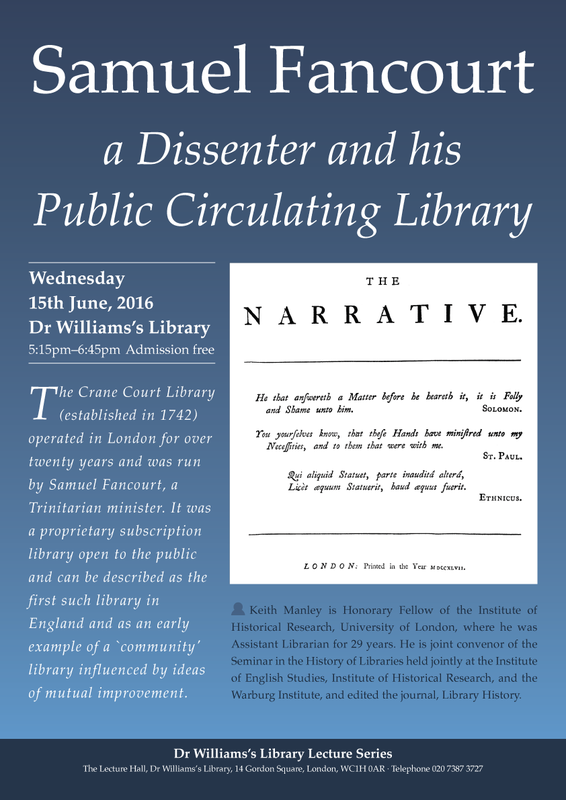 Lecture: Dr Williams's Library 1729-1793 - "a good library, under the direction of the dissenters". 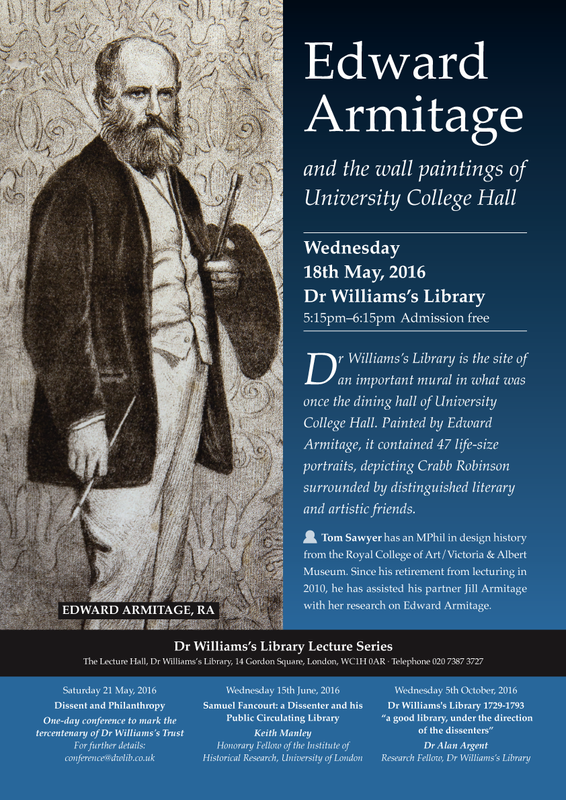 Meeting: Edward Armitage and the Wall Paintings of University Hall.